Italian media said on Monday that a small boat transporting 200 migrants sank near southern Sicily. 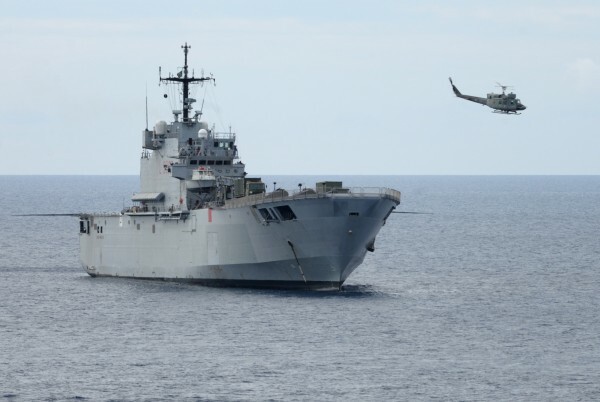 Italian naval authorities were quoted as having said that rescue ships from the Mare Nostrum task force were deployed to the island of Lampedusa, a strategic entry point often used by people smugglers to gain access to Italy and Europe. At press time, there were no reports of survivors. A day earlier, 40 migrants drowned in a similar attempt off the Libyan coast. Last week, government officials in Rome said that 20,000 sea-faring migrants had arrived in Italy since January. Italian authorities have called on the EU for support and dealing with the influx of refugees. Brussels has urged more pan-European patrol operations in the region. The plight of migrants crossing the Mediterranean came into focus last October when a boat carrying Eritrean refugees was shipwrecked short of Lampedusa, with at least 360 people drowning. Italy shortly after launched Operation Mare Nostrum, pouring more resources into search and rescue operations to avert a similar crisis. Italian authorities fear that ongoing conflict in Syria, Egypt, Iraq, Libya, Somalia, South Sudan and elsewhere could push more desperate families to make the trek.